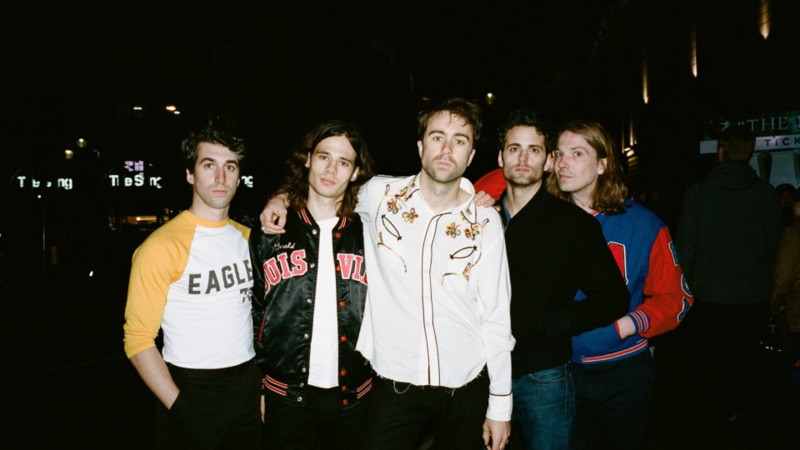 The Vaccines return to Japan for their first solo date in five years in November to showcase "Combat Sports," the English indie rockers' fourth album and a release that recaptures the sound that caused such rabid excitement when they first burst onto the scene. Following experimental third LP "English Graffiti," which was described as "schizophrenic" by songwriter and vocalist Justin Young, "Combat Sports" sees the band return to the brash, energetic, guitar-driven sound of their breakthrough first album. But Young insists it was not a conscious decision to go back to "What Did You Expect From The Vaccines?" -- the best-selling debut record of 2011 in Britain -- in order to move forward. "We didn't all sit around saying 'lads we fxxxxd up, we need to go back (to the first record).' It definitely wasn't that," Young told Kyodo News recently by phone from Ukraine, where the band were supporting Grammy-winning U.S. band Imagine Dragons on their world tour. "We spent a good year almost kind of making music with no real direction, coming off the back of 'English Graffiti' wondering what made the Vaccines the Vaccines." "Combat Sports" is a vibrant, colorful record that bounces along with short, sharp radio-friendly songs like "I Can't Quit" and "Put It On A T-Shirt." But the route to album from "English Graffiti" was far from smooth. Members of the band had lifestyle and health issues, and in June 2016, drummer Pete Robertson quit the group to focus on new challenges. "Pete our original drummer quit and (keyboard player) Tim (Lanham) and (new drummer) Yoann (Intonti) joined and we just started playing and writing songs from start to finish in a way I hadn't done for a while and bringing them to the band," said Young. "Obviously we worked incredibly hard on them and there was something natural about the process. It's hard to boil it down. It did sort of take us two years almost to get to the point that we probably should have been at in the first place." "English Graffiti" from 2015 was a No. 2 hit in Britain and won the band some of the best reviews of their career, yet Young felt that despite some great moments on the record, the band had lost sight of who they were and why they were there. "('English Graffiti') is just very schizophrenic. I think it was our listening habits, the way we made it and everything was just like a million different personalities all thrown into one," said the 31-year-old. "That was because we were looking for the one personality that made us the Vaccines. It was a very searching record and it was us trying to find out who we were and what we did different to anyone else." "Maybe it wasn't a Vaccines record. It was a great record but not a great Vaccines record. It just doesn't have us at its spine or at its core in quite the same way the other three do. I'm not actually a huge fan of our second record ('Come of Age'), it's my least favorite record, but it sounds like the Vaccines if that makes sense." He continued, "I think every record you make you're trying to refine that. It's also reactive. You're reacting to what you did great on the last record and what you did wrong on the last record. I sort of wish 'Combat Sports' was our second album if that makes sense." Young wanted the "visceral urgency" that got attributed to the band in their early days to be present in all of the 11 songs on "Combat Sports," building on the musicality of "English Graffiti" but for the songs to be upbeat, exciting and loud, according to the band's latest press biography. That defiance is mirrored in the album's title, which Young came up with after a bust-up with lead guitarist Freddie Cowan near the end of recording. "I had about 20 or 30 titles written down and we did sort of come to blows pretty close to the end of the album process and at the time the album was going to be called 'Your Love Is My Favourite Band,' (the title of the third track on the album)," said Young. "After that I sort of sat there kind of resenting and feeling very angry at him (Cowan) for 20 minutes and thought maybe 'Combat Sports' is a better representation of the way it sounds and the way it made us all feel and all that sort of stuff." 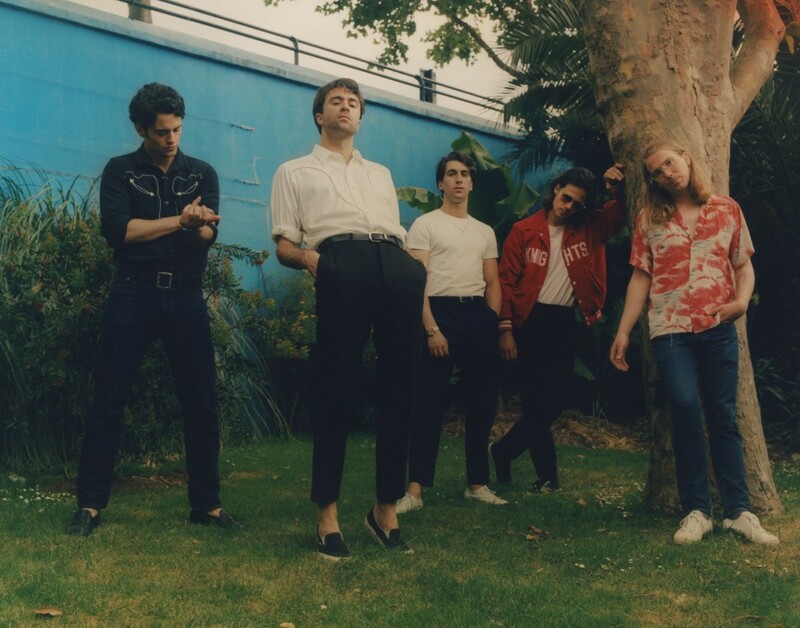 The Vaccines, who play at Tokyo's Duo Music Exchange on Nov. 21, had a guest slot at the Fuji Rock festival in 2015 but have not played their own shows in Japan since 2013. Young, though, says he never tires of performing here. "I have never really known where we have sat there (in Japan) and it is always a nice surprise when we get invited there and people turn up." "Every time we've played there has been a different experience. I suppose there is a lot of respect (from fans compared to other countries) but we have definitely had some crazy shows." "I think Japan is one of the few places left on the planet that still has its own sort of unique beating heart. In so much of the world you could be anywhere (but) in Japan it is so unique and that never really gets old."